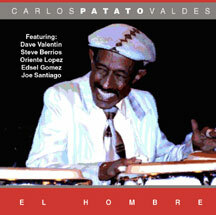 Musical Tribute to Carlos "Patato Valdez"
Are you in Latin Percussion's inner circle? 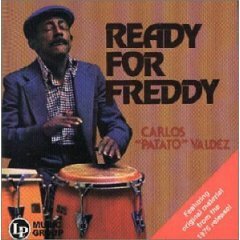 For over 50 years, Carlos "Patato" Valdes has demonstrated how a musician can combine technical skill with superb showmanship. 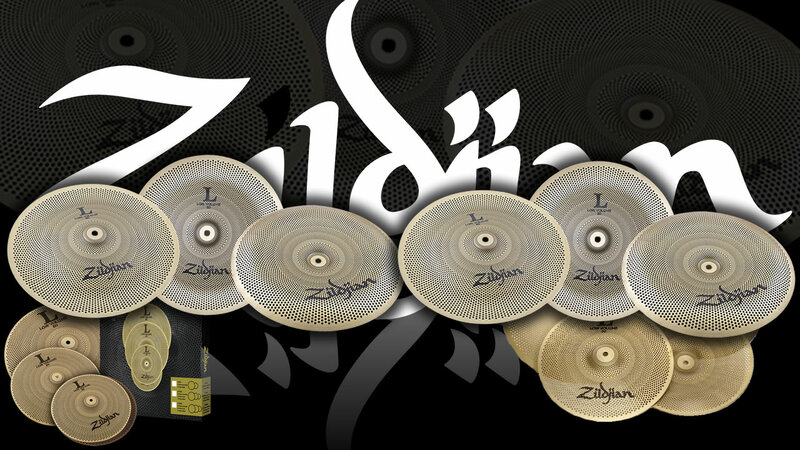 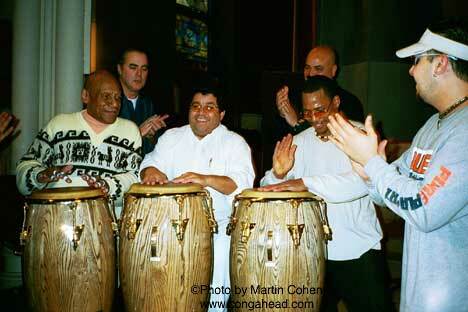 His conga playing fuses melody and rhythm, and his understanding of rhythm is rooted in dancing. 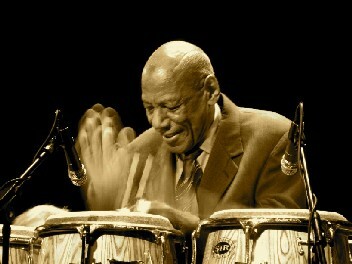 In his seventies, Patato still dazzles onlookers with his famed dance moves -- he's the man who gave Brigitte Bardot a mambo lesson in the film And God Created Woman -- dancing to his own solos in front of the congas, behind them and on top of them, bringing them to sing in voices no other conga player is able to create, luring them to tell tales full of melodies and poignancy. 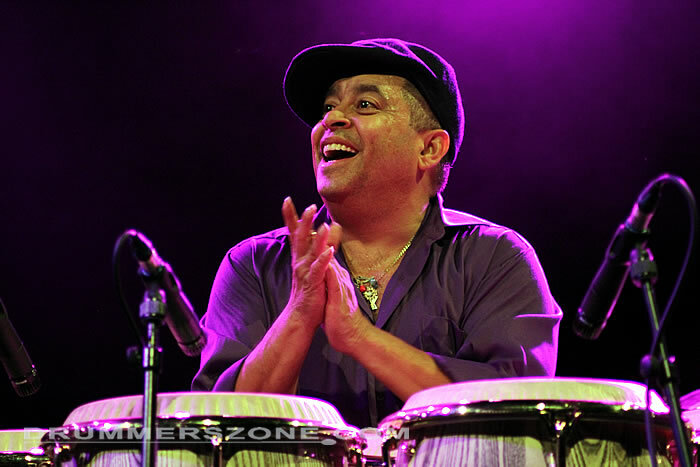 Patato's spontaneity and charm enables him to draw audiences from vastly different backgrounds and cultures into the irresistible Afro-Cuban rhythms which he creates. 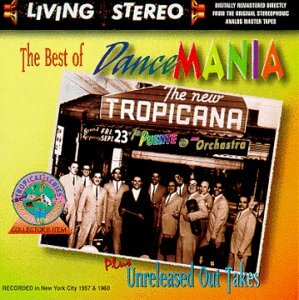 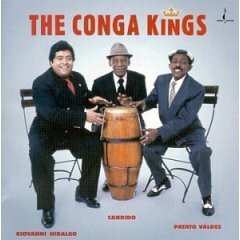 Valdes first came to the United States in 1952 and worked at New York's Tropicana nightclub with Conjunto Casino. 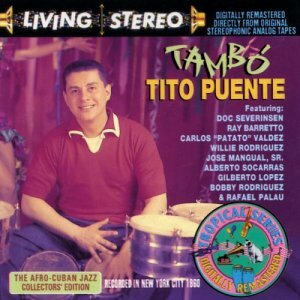 In 1954, he said good-bye to his homeland, Cuba and never returned. 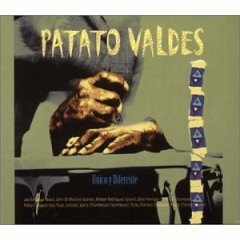 Patato's first jazz work was with Billy Taylor at Philadelphia�s Blue Note jazz club. 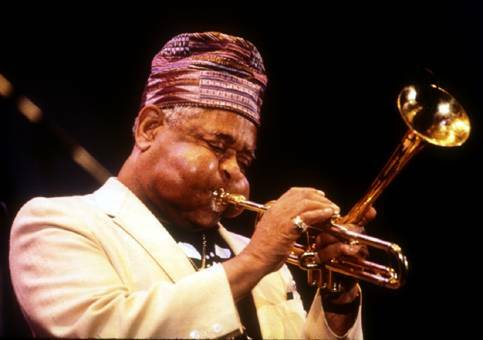 After that he worked at New York City's Apollo Theater with trumpet player Chip Murray and played on his first jazz recording, Afrodesia, with trumpet player Kenny Durham. 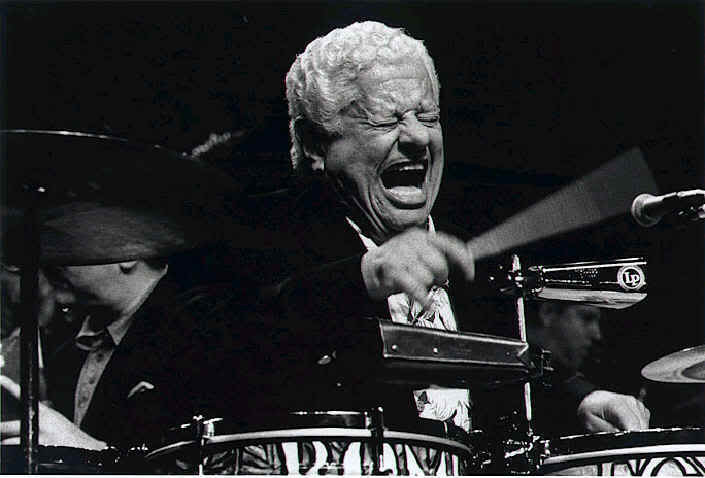 Years later he formed his own group, Afrojazzia. 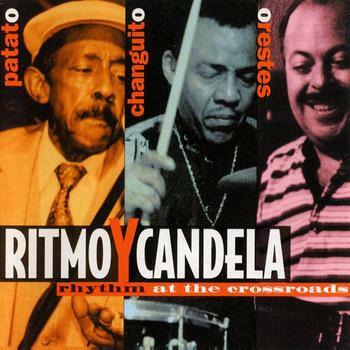 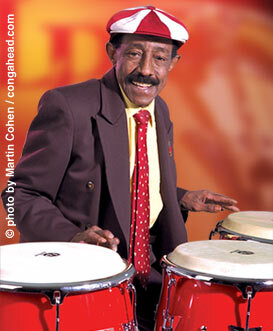 Although Patato has recorded few albums as a bandleader, he is more influential than almost any other conguero because he invented the tunable conga, a revolutionary step in music history. 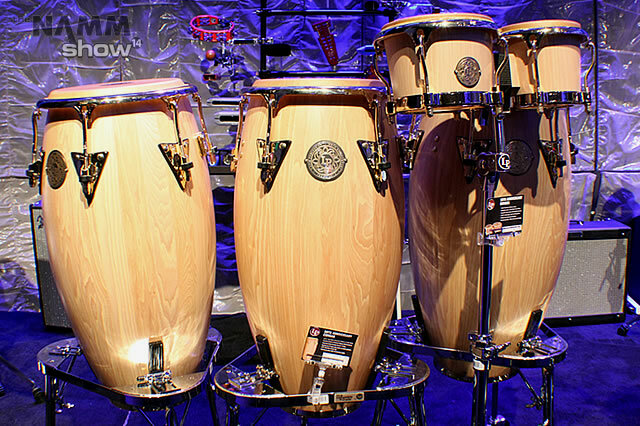 Before Patato's innovation, the traditional conga consisted of a wooden body with a nailed-on drum skin, which was tuned by holding a candle beneath the skin. 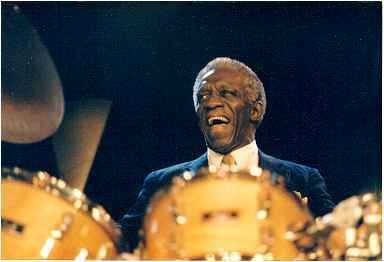 But the results of this technique were not satisfying, as the tension of the drum skin slackened as soon as the skin cooled down again. 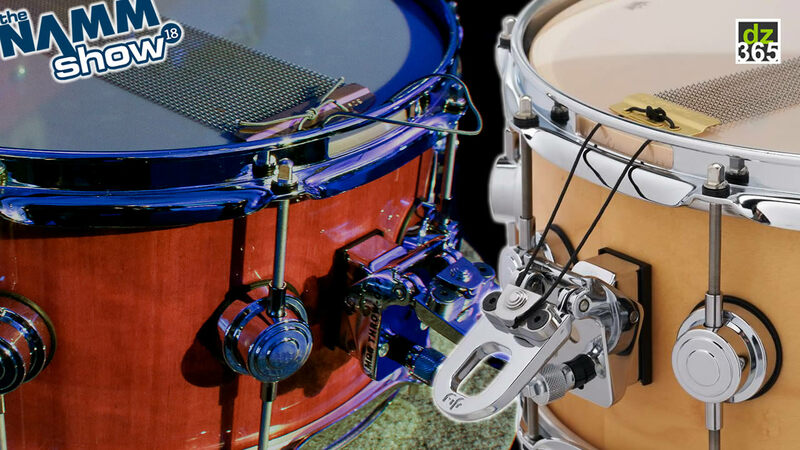 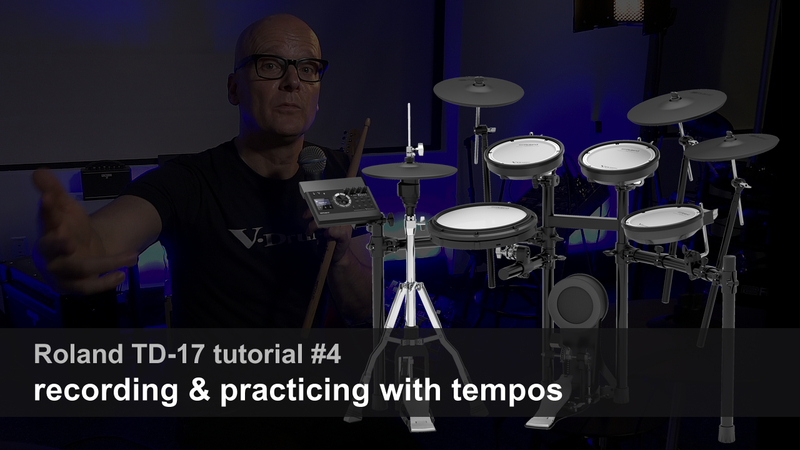 It was Patato�s idea to fix the skin to a metal ring which -- connected at various points with the conga body -- could be stretched and loosened by a square box wrench, thus enabling the musician to tune his instrument to specific pitches. 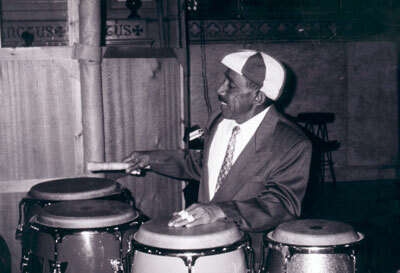 Consequently, it became possible to hit each half step of an octave, initiated by Patato's unique melodic style of employing multiple conga drums and using them as a melody-creating instrument, just as a piano player or a horn player would. 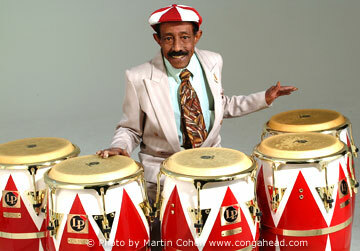 Patato patented this invention, and the company Latin Percussion Inc. began manufactured the instrument. 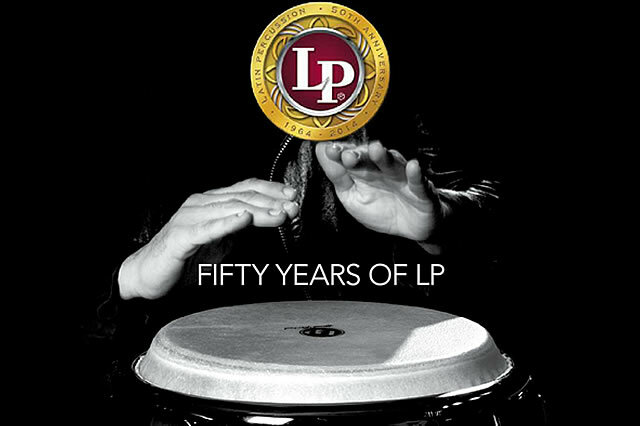 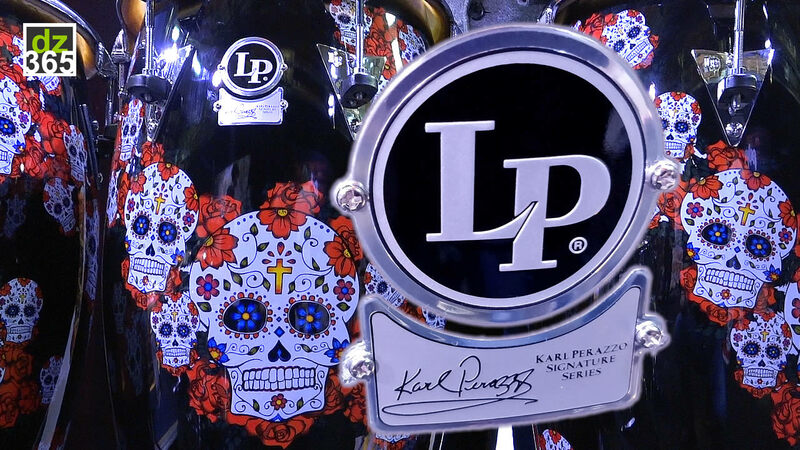 Latin Percussion�s "Patato Model" remains the top "star" of its product family, and his conga type is now used by hundreds of groups from Santana to the Rolling Stones, as well as by numerous well-known congueros, many of whom are his former students. 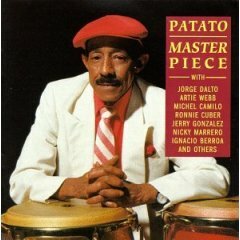 Since the 1950's, Patato has been among the congueros who are in highest demand in the Latin music and jazz worlds. 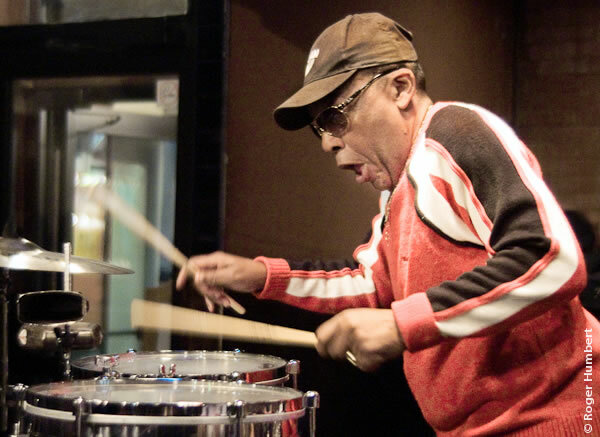 He has played, toured, and recorded with Miguelito Valdes, Perez Prado, Beny More, Cachao, Tito Puente, Machito, Herbie Mann, Kenny Dorham, Art Blakey, Elvin Jones, Dizzy Gillespie and Quincy Jones, among many others. 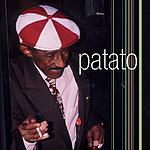 Patato also acted in and composed the title song for the television series The Bill Cosby Show. 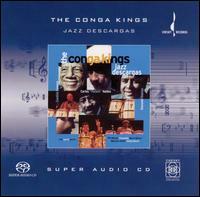 In 1991 he contributed to the movie soundtrack of The Mambo Kings Play Songs of Love.